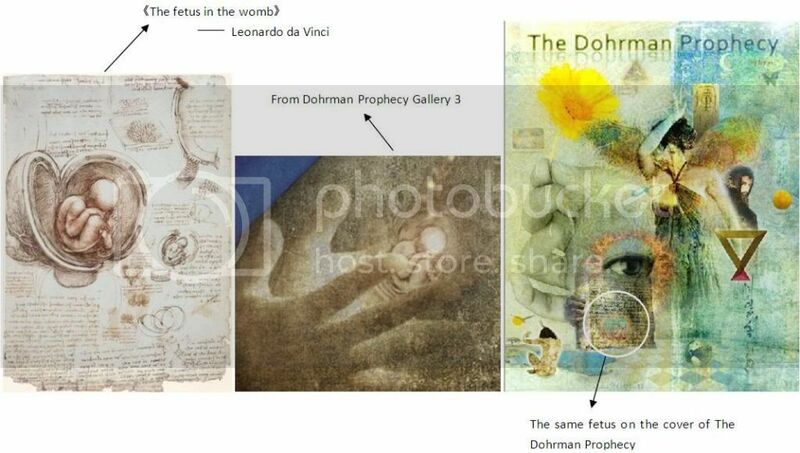 on the cover of 《The Dohrman Prophecy》,we can see a fetus,do you know this is from the arts of Leonardo da Vinci? Da Vinci painted a image----《The fetus in the womb》,this fetus can be found in DP Gallery3 too. 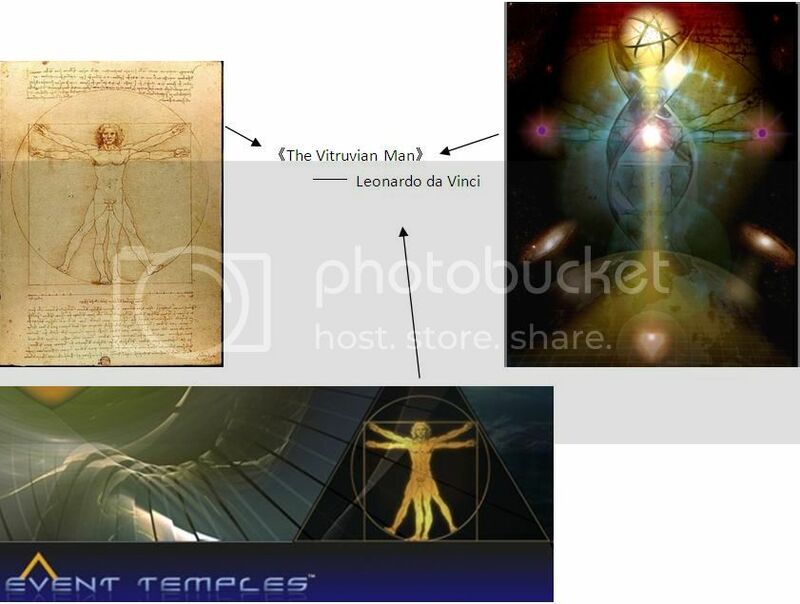 《The Vitruvian Man 》----another Notable work from Da Vinci,we can see The Vitruvian Man appears on the back cover of 《The Rising Heart》and the homepage of Eventtemples.com. Simon said “"There were scientists, spiritual teachers, artists, leaders, inventors, and many others who quite literally came from a different time, and, in a sense, you could say they were time travelers." "Did they know they were WingMakers living in our spacetime?" Last edited by yhg342 on Tue Aug 13, 2013 9:19 pm, edited 1 time in total. Very intertesting! Thank your presentation! Great demonstration! Part of my WM studies at the moment is in relation to the physical body and this DaVinci reference has helped bring my attention deeper into visually exploring the WM artwork that depicts the 24 primary systems of the human instrument. I have been using the “Sovereign Integral” artwork daily for some time now as it has helped me enormously to become more confident and able to grasp and evolve one of my weaker sensory components of our complex physical instrument - visualization - but with this highlight I am prompted in ways of how to continue to expand this further. Thanks. I also find “The Bones” chapter in Quantusum interesting in relation to DaVinci’s Vitruvian man; perhaps there may be some correlation with the two superimposed bodies. “They can’t move, because I’ve activated a part of you - the soul part - so we could have a conversation. This soul part operates on a different frequency of time. It still has time, but it is not the same time as a human would experience. I didn’t know what she meant, but I looked down at myself and saw I was actually two beings. One of me was animated; the other was frozen in time looking at Uncle with unblinking eyes. I was split, divided into two beings: one a phantom that was conscious, the other a stone sculpture. Suddenly I felt a powerful force like a gigantic mouth opening its jaws and breathing in. I felt like a particle of dust that was being drawn inside a giant’s body, and yet I couldn’t see any source to which I was being drawn. All I knew was that I was being ingested by something. Something or someone was absorbing me. My mind went to the story of Jonah and the whale. I felt like Jonah. I was being eaten, and yet there was no pain or even fear. The thought to stop the vision never occurred to me, as I was too fascinated by what I was experiencing - in fact, I wanted to follow it. Then, I felt more motion, a sense of speed that I had never sensed before. I was traveling through space inside some kind of vehicle, but it didn’t feel like a spaceship or something external, I think I was the vehicle. I don’t have a clear sense of how long I had been traveling at this incredible speed, but I sensed I was slowing down. I was beginning to see objects, whereas before, when I was speeding through the universe, I was effectively blind, dumb, deaf - every sense had been shut down or switched off except one: the sense of motion. I even wondered which of the five senses to attribute the sense of motion to, but my mind lost interest in the topic as my world began to materialize.
. . . as my world began to materialize! This is an important reference also. “Why am I here?” the voice asked. “Because you brought me here,” the voice said. As I finished my last word, I felt something fall off me. It was a sensation similar to having a spacesuit unbuckle and fall to the ground. It was sheared off me in a single moment, and then I felt it. Each individual is a portal unto themselves, and this portal is the access point to the interdimensional worlds of the Sovereign Integral, where the human instrument, like a space suit, is finally removed and the individual realizes their true, infinite nature. “When I woke up, I not only had the pain of my backside, courtesy of my father, but my head was bleeding, and I was paralyzed. I lay on my back, staring up at the night sky - [Censored], it was the only thing I could do: watch the stars. “But then I began to hear the faintest of music, and it was coming from the sky. I was sure of it. It wasn’t the kind of music I’d heard before, it was more like a vast rhythm that spilled out from the heavens, and somehow, I heard it, and it . . . entered me. And much, much more. Perhaps the 24 primary systems of the physical body, that Lyricus points us toward, could well be mapped out, or referenced, in James’ novels; or at least those that can be crafted into a form of understanding within the HMS and those that provide hints or shadows towards others. It would be quite exciting, for me anyway, to find and map the pathways to these throughout the novels. This would take time, of course, but for me would provide another format/tool in my own pursuit and “persistence” in continuing with the dismantling process of the HMS. If anyone recognizes any correlations, at any time, please share. IMO Da Vinci could be James, or another Lyricus member, in a prior incarnation. I agree Alex.......I wonder how much glyphs influenced his works.